The Slaughter Rule is the first feature film by Alex and Andrew J. Smith, starring Ryan Gosling, David Morse, Clea DuVall, David Cale, Eddie Spears and Kelly Lynch (and in a mini-mini-role Amy Adams). After the deat of Roy’s father and Roy’s (Ryan Gosling) getting kicked out of the football team, he is approached by Gid (David Morse) who offers to establish a six-man-football team with Roy as the quarterback. Roy agrees, also because Gid knows Skyla (Clea DuVall), a bartender Roy likes. The relationship between Gid and Roy is in turn very caring and very difficult, especially when rumors about Gid’s sexuality start surfacing. 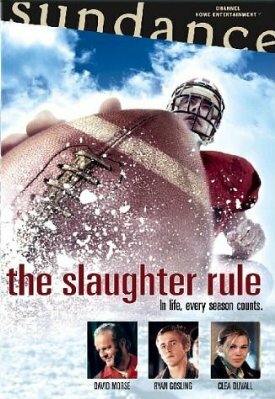 When I first heard about The Slaughter Rule, I thought it would be your run of the mill sports movie and only Ryan Gosling actually made me want to watch it. But I was pleasantly surprised: it’s a thoughtful, well-acted movie that draws you in. Torchwood: Miracle Day has a publication date. YAY! First very short look at Syfy’s new superhero series Alphas. Fringe renewed for fourth season. Doctor Who Trailer. Really, really, really creepy. The entirety of the Spidey Project. 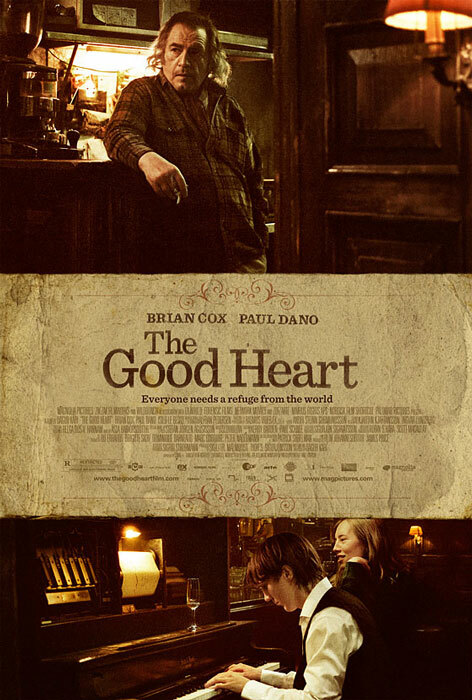 The Good Heart is the newest film by Dagur Kári, starring Paul Dano and Brian Cox. Jacques (Brian Cox) is a misanthropic bar owner, Lucas (Paul Dano) a homeless young man who is nice to everyone. 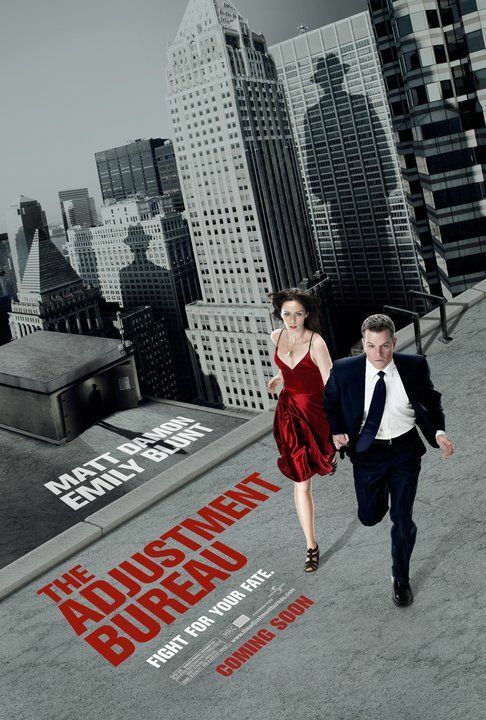 They meet in a hospital after Jacques suffers from a heart attack and Lucas recuperates after a suicide attempt. For some reason, Jacques settles on Lucas to be his successor. He takes him in and teaches him the way of the bar: basically, be as unfriendly as possible to everyone. The Good Heart could have been really good. It’s got great actors and nice cinematography, unfortunately it also has a crappy script, a ridiculous storyline and Dagur Kári really did not convince me as a director. Mein bester Feind is Wolfgang Murnberger‘s newest film, starring Moritz Bleibtreu, Georg Friedrich and Ursula Strauss. Victor Kaufmann (Moritz Bleibtreu) has it all: he’s working in his parents’ well-regarded art gallery, he has a nice fiancée, Lena (Ursula Strauss) and his best friend with whom he basically grew up, Rudi (Georg Friedrich) has finally returned from a longer stay in Germany. Unfortunately, it’s also 1938 in Vienna and Victor is Jewish. When the nazis take over – and Rudi joins the SS – the Kaufmanns quickly lose everything. Among their possessions is a real Michelangelo which is coveted by the Nazis. But through some twists and turns, the real Michelangelo can be hidden and Victor makes Rudi swap places with him. 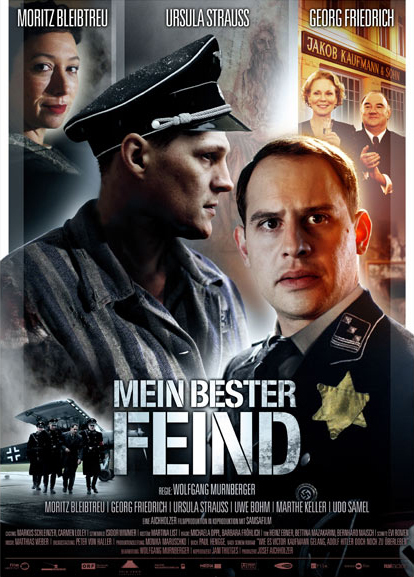 Mein bester Feind has a brilliant main cast and is well-paced, but that’s about it. The story itself focusses on the wrong things and is mostly… meh and there are so many wooden performances in the supporting cast, it could keep a middle-sized carpentry well-supplied for a year. IAMX is the solo project of Chris Corner, Noblesse Oblige is an electronic punk duo. They played in the Gasometer. Last Night is the newest film by Massy Tadjedin, starring Keira Knightley, Sam Worthington, Guillaume Canet, Eva Mendes and Griffin Dunne. Joanna (Keira Knightley) and Michael (Sam Worthington) are a rather happily married couple. But after a business dinner, they get into a fight about Michael’s attractive co-worker Laura (Eva Mendes). The next day, Michael goes on a business trip with Laura while Joanna runs into her ex-boyfriend Alex (Guillaume Canet). And suddenly both of them spend a night grappling with temptation. Last Night is a quite little movie. There’s nothing flashy about it, nothing that really stands out – neither in a good, nor in a bad way. It’s just a film you tend not to notice, though it is intelligent, surprisingly well acted and engaging. 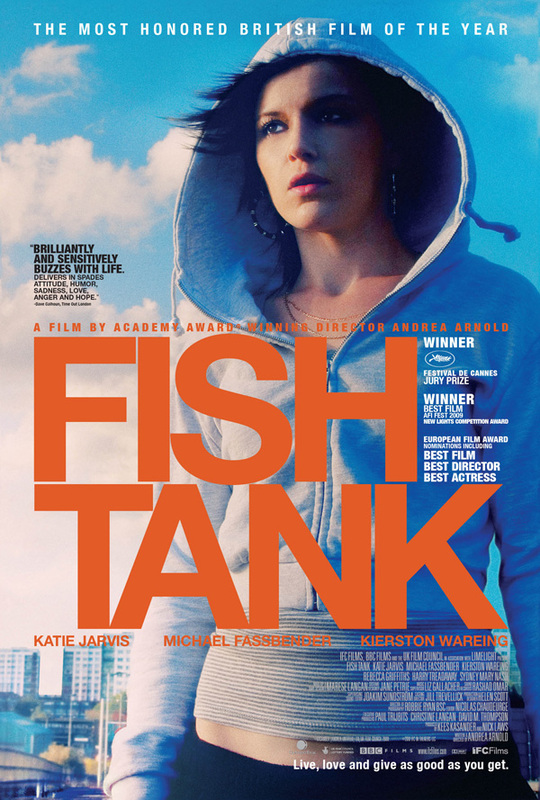 Fish Tank is Andrea Arnold‘s newest film, starring Katie Jarvis, Rebecca Griffiths, Kierston Wareing, Harry Treadaway and Michael Fassbender. Mia (Katie Jarvis) is a teenager from a bad neighborhood who dreams of a career as a dancer. When her mother Joanne (Kierston Wareing) brings home a new boyfriend, Connor (Michael Fassbender), Mia connects with him quickly. Connor is a nice guy who treats Mia and her sister Tyler (Rebecca Griffiths) well and even encourages Mia’s dreams. Flattered by his attention and his general treatment, Mia quickly falls in love with Connor. Fish Tank is one hell of a movie. 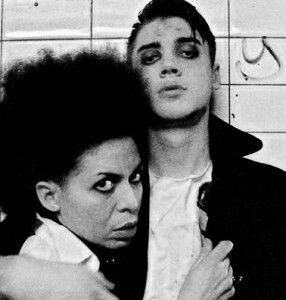 Excellently cast, perfectly written and well-shot, it takes no time to make you feel miserable. At least it has the decency to pick you up a little bit at the end.